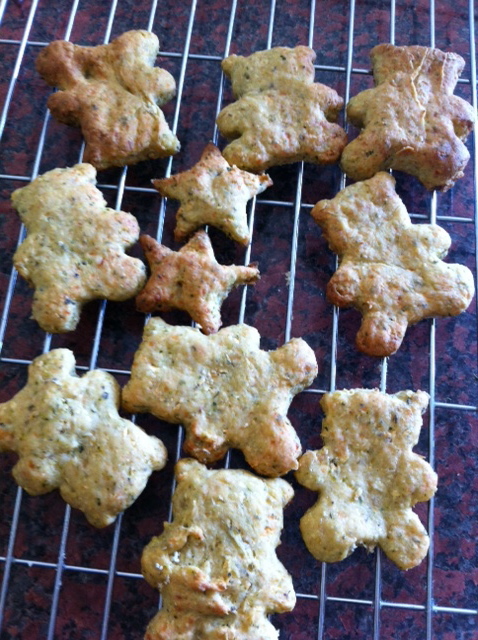 Cheesy Courgette Biscuits for Little and Big People. 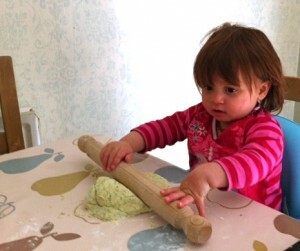 So this recipe started off as a decision to try out this lovely looking recipe from MamaCook. I weighed out the flour and then opened the margarine tub to realise it was pretty much empty. Boo. Skip forward a few hours and margarine is back in the house. 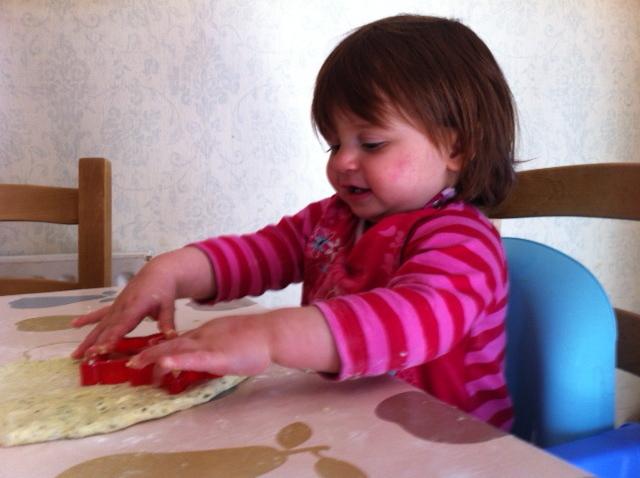 By now I’m in creative mode and the biscuits took on a life of their own! I’m a bit of a stickler for encouraging my small one to eat her veggies, so finding a courgette to hand, I decided to grate it in and then add some cheese for added yum factor. I’ll be honest I wasn’t expecting great things, but you know what, these have been a huge success, not only with the toddler girl but also with her Daddy! We baked them at Gas Mark 5 for 15 minutes, you may need less depending on how thin your dough has been rolled (or not rolled in our case!). Here is the final result. 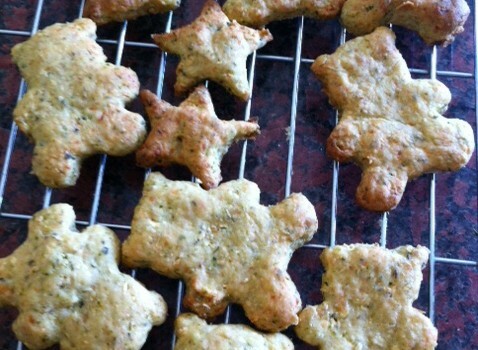 Dietitian UK: Cheesy Courgette Biscuits. Previous PostEating Breakfast makes you Slimmer!Next PostCarbohydrates, the Good Guys. I’ making these tomorrow. They sound yummy and my veg dodging child loves biscuits & cheese so surely they’re going to be popular!! Hope they went well Liz, someone on twitter has made them as an accompaniment to her main meal, looked pretty scrum! Now I don’t have an oven… but if I did I’d make these for sure ! I’ve just made these, I doubled up the quantities and the mixture was really sticky so we couldn’t use cutters, what have I done wrong??!!! The end was result still went down well though!